Like mechanics fixing a faulty engine, Youssef A. Kousa, M.S., D.O., Ph.D., says researchers will not be able to remedy problems related to IRF6, a gene implicated in cleft palate, until they better understand how the gene works. Like all of the individual elements of fetal development, palate growth is a marvel of nature. In part of this process, ledges of tissue on the sides of the face grow downwards on each side of the tongue, then upward, fusing at the midline at the top of the mouth. The vast majority of the time, this process goes correctly. 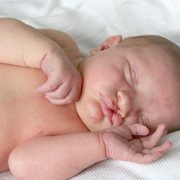 However, some part of it goes awry for the 2,650 babies born in the United States each year with cleft palates and the thousands more born worldwide with the defect. For nearly two decades, researchers have known that a gene known as IRF6 is involved in palate formation. Studies have shown that this gene contributes about 12 percent to 18 percent of the risk of cleft palate, more than any other gene identified thus far. IRF6 is active in epithelial tissues – those that line cavities and surfaces throughout the body – including the periderm, a tissue that lines the mouth cavity and plays an important role during development. According to Youssef A. Kousa, M.S., D.O., Ph.D., a child neurology fellow at Children’s National Health System, the periderm acts like a nonstick layer, preventing the tongue or other structures from adhering to the growing palate and preventing it from sealing at the midline. While researchers have long suspected that IRF6 plays a strong role in promoting this nonstick quality, exactly how it exerts its influence has not been clear. In a study published July 19, 2017 by the Journal of Dental Research, Dr. Kousa and colleagues seek to decipher one piece of this puzzle by investigating how this key gene might interact with others that are active during fetal development. The researchers were particularly interested in genes that work together in a cascade of activity known as the tyrosine kinase receptor signaling pathway. Because this pathway includes a large group of genes, Dr. Kousa and colleagues reasoned that they could answer whether IRF6 interacts with this pathway by looking at whether the gene interacts with the last member of the cascade, a gene called SPRY4. To do this, the researchers worked with experimental models that had mutations in IRF6, SPRY4 or both. If these two genes interact, the scientists hypothesized, carrying mutations in both genes at the same time should result in a dramatically different outcome compared with animals that carried mutations in just one gene. Using selective breeding techniques, the researchers created animals that had mutations in either of these genes or in both. Their results suggest that IRF6 and SPRY4 indeed do interact: Significantly more of the oral surface was adhered to the tongue during fetal development in experimental models that had mutations in both genes compared with those that had just one single gene mutated. Examining the gene activity in the periderm cells of these affected animals, the researchers found that doubly mutated experimental models also had decreased activity in a third gene known as GRHL3, which also has been linked with cleft lip and palate. Dr. Kousa says the research team plans to continue exploring this interaction to better understand the flow of events that lead from perturbations in these genes to formation of cleft palate. Some of the questions they would like to answer include exactly which gene or genes in the tyrosine kinase receptor signaling pathway specifically interact with IRF6 – since SPRY4 represents just the end of that pathway, others genes earlier in the pathway are probably the real culprits responsible for driving problems in palate formation. They also will need to verify if these interactions take place in humans in the same way they occur in preclinical models. Eventually, Dr. Kousa adds, the findings could aid in personalized prenatal counseling, diagnosis and screening related to cleft palate, as well as preventing this condition during pregnancy. Someday, doctors might be able to advise couples who carry mutations in these genes about whether they are more likely to have a baby with a cleft palate or determine which select group of pregnancies need closer monitoring. Additionally, because research suggests that GRHL3 might interact with nutrients, including inositol, it might be possible to prevent some cases of cleft palate by taking additional supplements during pregnancy. 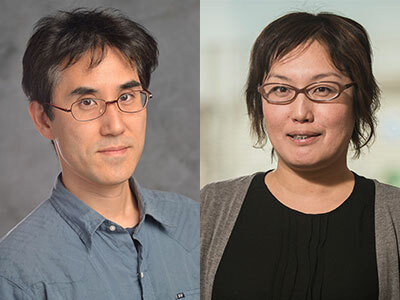 Masaaki Torii, Ph.D., Kazue Hashimoto-Torii, Ph.D., and their research teams are joining Collaborative Initiative on Fetal Alcohol Spectrum Disorders, a consortium supported by the National Institutes of Health. 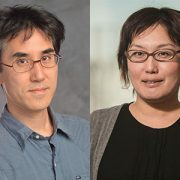 Kazue Hashimoto-Torii, Ph.D., Masaaki Torii, Ph.D., and the research teams they lead have joined a national research consortium for Fetal Alcohol Spectrum Disorders that is supported by the National Institutes of Health (NIH). The Collaborative Initiative on Fetal Alcohol Spectrum Disorders (CIFASD) aims to leverage multidisciplinary approaches to develop effective interventions and treatments for Fetal Alcohol Spectrum Disorders. “Both of our labs have been fortunate in receiving multiple R series research grants from the NIH. I am deeply honored that we now join this prestigious national consortium, which opens additional opportunities to collaborate with other labs with neurobehavioral, genetics and facial dysmorphology expertise as well as other specialized disciplines,” says Hashimoto-Torii, principal investigator in the Center for Neuroscience Research at Children’s National Health System. Fetal Alcohol Spectrum Disorders are a constellation of conditions that result from exposure to alcohol in the womb that reflect the vastly different ways fetuses respond to that in utero insult. While early intervention is crucial, one challenge that continues to bedevil the field is trying to determine which pregnancies are most at risk. The Children’s researchers will examine epigenetic changes at the single cell level that may provide the earliest hint of cognitive and learning difficulties – long before children show any symptoms of such problems. Hashimoto-Torii’s lab will perform single-cell droplet digital polymerase chain reaction (PCR) based biomarker analysis of blood samples from experimental models and humans. Meanwhile, the lab run by Torii – also a principal investigator in the Center for Neuroscience Research – will collect blood samples from experimental models, perform comprehensive behavioral analysis, and evaluate potential correlations between behaviors seen in the experimental models and their drop-PCR results. “Under the auspices of CIFASD, we ultimately hope to link these biomarkers from our lab with results that our colleagues are seeing in children in order to validate their ability to accurately predict outcomes from prenatal alcohol exposure,” she says. Will the Zika epidemic re-emerge in 2017? Anthony S. Fauci, M.D., director of the National Institute of Allergy and Infectious Diseases at the National Institutes of Health, discussed the possibility of a reemergence of Zika virus at Children’s National Research and Education Week. Temperatures are rising, swelling the population of Aedes mosquitoes that transmit the Zika virus and prompting an anxious question: Will the Zika epidemic re-emerge in 2017? Anthony S. Fauci, M.D., director of the National Institute of Allergy and Infectious Diseases at the National Institutes of Health (NIH), sketched out contrasting scenarios. Last year in Puerto Rico, at least 13 percent of residents were infected with Zika, “a huge percentage of the population to get infected in any one outbreak,” Dr. Fauci says. But he quickly adds: “That means that 87 percent of the population” did not get infected. When the chikungunya virus swept through the Caribbean during an earlier outbreak, it did so in multiple waves. “We are bracing for a return of Zika, but we shall see what happens.” Dr. Fauci says. 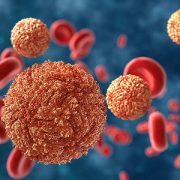 When it comes to the continental United States, however, previous dengue and chikungunya outbreaks were limited to southern Florida and Texas towns straddling the Mexican border. Domestic Zika transmission last year behaved in much the same fashion. 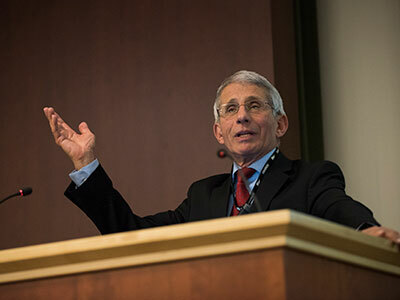 Dr. Fauci’s remarks were delivered April 24 to a standing-room-only auditorium as part of Research and Education Week, an annual celebration of the cutting-edge research and innovation happening every day at Children’s National. He offered a sweeping, fact-filled summary of Zika’s march across the globe: The virus was first isolated from a primate placed in a treehouse within Uganda’s Zika forest to intentionally become infected; Zika lurked under the radar for the first few decades, causing non-descript febrile illness; it bounced from country to country, causing isolated outbreaks; then, it transformed into an infectious disease of international concern when congenital Zika infection was linked to severe neural consequences for babies born in Brazil. 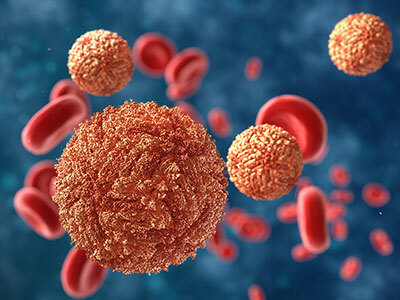 Zika virus lurked under the radar for several decades, causing non-descript febrile illness; it bounced from country to country, resulting in isolated outbreaks; then, it transformed into an infectious disease of international concern. In Brazil, 139 to 175 babies were born each year with microcephaly – a condition characterized by a smaller than normal skull – from 2010 to 2014. From 2015 through 2016, that sobering statistic soared to 5,549 microcephaly cases, 2,366 of them lab-confirmed as caused by Zika. When it comes to the U.S. national response, Dr. Fauci says one of the most crucial variables is how quickly a vaccine becomes available to respond to the emerging outbreak. For Zika, the research community was able to sequence the virus and launch a Phase I trial in about three months, “the quickest time frame from identification to trial in the history of all vaccinology,” he adds. Zika is a single-stranded, enveloped RNA virus that is closely related to dengue, West Nile, Japanese encephalitis and Yellow fever viruses, which gives the NIH and others racing to produce a Zika vaccine a leg up. The Yellow fever vaccine, at 99 percent effectiveness, is one of the world’s most effective vaccines. https://innovationdistrict.childrensnational.org/wp-content/uploads/2017/06/zika-virus.jpg 300 400 Innovation District https://innovationdistrict.childrensnational.org/wp-content/uploads/2018/11/idlogo1-tagline-Advances-in-Medicine.gif Innovation District2017-06-05 09:40:482019-03-11 10:00:33Will the Zika epidemic re-emerge in 2017? Catherine Limperopoulous, Ph.D., and her colleagues used volumetric MRIs to assess how the ventricles, cerebrospinal fluid and the rest of the fetal brain normally change over time. The human brain is not one solid mass. Buried within its gray and white matter are a series of four interconnected chambers, called ventricles, which produce cerebrospinal fluid. These ventricles are readily apparent on the fetal ultrasounds that have become the standard of prenatal care in the United States and most developed countries around the world. Abnormalities in the ventricles’ size or shape – or both – can give doctors an early warning that fetal brain development might be going awry. But what is abnormal? It is not always clear, says Catherine Limperopoulos, Ph.D., director of the Developing Brain Research Laboratory at Children’s National Health System. Limperopoulos explains that despite having many variations in fetal ventricles, some infants have completely normal neurodevelopmental outcomes later. On the other hand, some extremely subtle variations in shape and size can signal problems. On top of these complications are the tools clinicians typically use to assess the ventricles. Limperopoulos explains that most early indications of ventricle abnormalities come from ultrasounds, but the finer resolution of magnetic resonance imaging (MRI) can provide a more accurate assessment of fetal brain development. Still, both standard MRI and ultrasound provide only two-dimensional pictures, making it difficult to quantify slight differences in the volume of structures. To help solve these problems, Limperopoulos and her colleagues recently published a paper in Developmental Neuroscience that takes a different tack. The team performed volumetric MRIs – a technique that provides a precise three-dimensional measure of structural volumes – on the brains of healthy fetuses to assess how the ventricles, cerebrospinal fluid and the rest of the brain normally change over time. Limperopoulos’ team recently performed a similar study to assess normal volumetric development in the brain’s solid tissues. Previous studies published on comparable topics typically used information gathered from subjects who initially had clinical concerns but eventually were dismissed from these studies for not having worrisome diagnoses in the end. This might not truly reflect a typical population of pregnant women, Limperopoulos says. 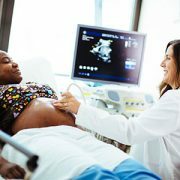 Working with 166 pregnant women with healthy pregnancies spanning from 18 to 40 weeks gestation, the researchers performed volumetric MRIs on their singleton fetuses that covered every week of this second half of pregnancy. 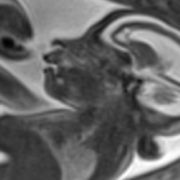 This technique allowed them to precisely calculate the volumes of structures within the fetal brain and get an idea of how these volumes changed over time within the group. And the extra-axial cerebrospinal fluid, found under the lining of the brain, increased about 11-fold. The total brain volume increased 64-fold over this time, with the parenchyma – the solid brain tissue that encompasses gray and white matter – growing significantly faster than the cerebrospinal fluid-filled spaces. Limperopoulos points out that the ability to measure the growth of the brain’s fluid-filled spaces relative to the surrounding brain tissue can provide critical information to clinicians caring for developing fetuses. In most cases, knowing what is normal allows doctors to reassure pregnant women that their fetus’ growth is on track. Abnormalities in these ratios can provide some of the first signals to alert doctors to blockages in cerebrospinal fluid flow, abnormal development, or the loss of brain tissue to damage or disease. Although the neurodevelopmental outcomes from each of these conditions can vary significantly, traditional ultrasounds or MRIs might not be able to distinguish these possibilities from each other. Being able to differentiate why cerebrospinal fluid spaces have abnormal shapes or sizes might allow doctors to better counsel parents, predict neurological outcomes, or potentially intervene before or after birth to mitigate brain damage. 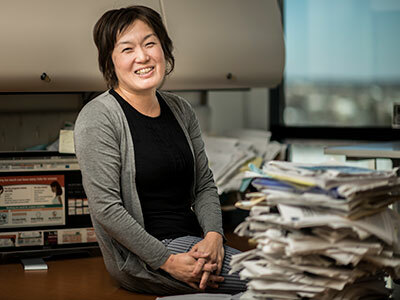 By looking back to the earliest moments of embryonic brain development, Kazue Hashimoto-Torii, Ph.D. and her collaborators sought to explain the molecular and cellular bases for complex congenital brain disorders that can result from exposure to harmful agents. When the brain is exposed to an environmental stressor all is not immediately lost. Brain cells have mechanisms that protect them against the ravages of alcohol and other toxic substances. One of these is a protein the cells make, known as Heat Shock Factor 1 (Hsf1), which helps to shield them from damage. The fetal brain also can make Hsf1, which protects its particularly vulnerable cells from environmental stressors that pregnant mothers are exposed to during gestation. However, a new study suggests that this system is not perfect. Research led by Children’s National Health System scientists suggests that when too much Hsf1 is produced, it actually can impair the brain during development. While this finding was made in a preclinical model, it raises questions about neural risks for human infants if their mothers drink alcohol in the first or second trimester of pregnancy. When fetuses are chronically exposed to harmful agents such as alcohol, ethanol or methyl mercury in utero, the experience can negatively affect fetal brain development in unpredictable ways. Some fetal brains show little or no damage, while others suffer severe damage. By looking at the earliest moments of embryonic brain development, an international research team that includes five Children’s National authors sought to explain the molecular and cellular bases for complex congenital brain disorders that can result from exposure to such harmful agents. 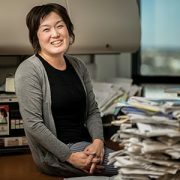 “From a public health perspective, there is ongoing debate about whether there is any level of drinking by pregnant women that is ‘safe,’ ” says Kazue Hashimoto-Torii, Ph.D., principal investigator in the Center for Neuroscience Research at Children’s National and senior author of the paper published May 2 in Nature Communications. “We gave ethanol to pregnant preclinical models and found their offspring’s neural cells experienced widely differing responses to this environmental stress. It remains unclear which precise threshold of stress exposure represents the tipping point, transforming what should be a neuroprotective response into a damaging response. Even at lower levels of alcohol exposure, however, the risk for fetal neural cells is not zero,” Hashimoto-Torii adds. The cerebral cortex – the thin outer layer of the cerebrum and cerebellum that enables the brain to process information – is particularly vulnerable to disturbances in the womb, the study authors write. To fend off insult, neural cells employ a number of self-preservation strategies, including launching the protective Hsf1-Heat shock protein (Hsp) signaling pathway that is used by a wide range of organisms, from single-cell microbes to humans. Developing fetuses activate Hsf1-Hsp signaling upon exposure to environmental stressors, some to no avail. To help unravel the neurological mystery, the researchers used a method that allows a single molecule to fluoresce during stress exposure. They tapped specific environmental stressors, such as ethanol, hydrogen peroxide and methyl mercury – each of which are known to produce oxidative stress at defined concentrations. And, using an experimental model, they examined the Hsf1 activation pattern in the developing cerebral cortex by creating a marker, an encoding gene tagged with a type of fluorescent protein that makes it glow bright red. “Our results suggest that heterogeneous events of abnormal brain development may occur probabilistically – which explains patterns of cortical malformations that vary with each individual, even when these individuals are exposed to similar levels of environmental stressors,” Hashimoto-Torii adds. Among the more striking findings, neural cells with excessively high levels of Hsf1-Hsp activation due to ethanol exposure experience disruptions to normal development, with delayed migration by immature cortical neurons. For the fetal brain to develop normally, neurons need to migrate to precise places in the brain at just the right time to enable robust neural connections. When neurons fail to arrive at their destinations or get there too late, there can be gaps in the neural network, compromising efficient and effective communication across the brain’s various regions. The research team found one bright spot: Cortical neurons that stalled due to lack of the microtubule-associated molecule Dcx were able to regain their ability to migrate properly when the gene was replenished after birth. A reduction in Hsf1 activity after birth, however, did not show the same ability to trigger the “reset” button on neural development. “The finding suggests that genes other than microtubule-associated genes may play pivotal roles in ensuring that migrating neurons reach their assigned destinations in the brain at the right time – despite the added challenge of excessive Hsf1 activation,” according to Hashimoto-Torii. 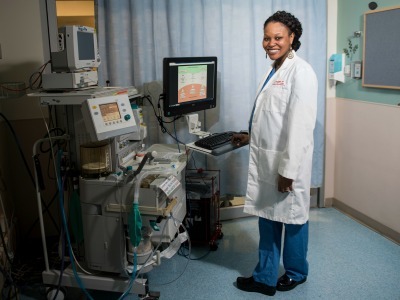 A study led by Chinwe Unegbu, M.D., indicates the benefits of PDE-5 inhibitors to treat pediatric pulmonary hypertension far outweigh potential harmful side effects. Pulmonary hypertension (PH), when pressure in the blood vessels leading from the heart to the lungs is too high, is primarily a disease of adults: Patient registries suggest that the mean age of diagnosis is around age 50. However, more and more children are developing this condition, says Chinwe Unegbu, M.D., an assistant professor in the Division of Anesthesiology, Pain and Perioperative Medicine at Children’s National Health System. Although adults with PH have several different effective treatments, Dr. Unegbu adds, children have few options. One of these is a class of medications known as phosphodiesterase type 5 (PDE-5) inhibitors, which act on molecular pathways that can open up constricted blood vessels. However, some studies have raised questions about the safety of this class of medications, particularly with long-term use of high dosages. In a new study, Dr. Unegbu and colleagues performed a systematic review of available literature on this class of drugs evaluating their effectiveness and safety for pediatric patients. The review showed that like all medications, PDE-5 inhibitors have some risks. However, Dr. Unegbu says, the review showed that their benefits, including improved echocardiography measurements, cardiac catheterization parameters and oxygenation, far outweigh potential harmful side effects. Patients with PH experience increased pressure in the pulmonary arteries, which carry blood from the heart to the lungs where it picks up oxygen that is ferried throughout the body. According to the National Institutes of Health, this leads patients to suffer from shortness of breath while doing routine tasks, chest pain and a racing heartbeat. Changes to the arteries make it progressively harder for the heart to pump blood to the lungs, which forces the heart to work even harder. Despite the heart muscle compensating by growing larger, less blood ultimately flows from the right to the left side of the heart which can compromise the kidney, liver and other organs, Dr. Unegbu says. The study team included four researchers from Johns Hopkins University: Corina Noje, M.D., John D. Coulson, M.D., Jodi B. Segal, M.D., M.P.H., and study senior author Lewis Romer, M.D. The researchers scoured Medline, Embase, SCOPUS and the Cochrane Central Register of Controlled Trials, looking for studies that examined PDE-5 inhibitor use by pediatric patients with primary and secondary PH. Their goals included describing the nature and scale of the pediatric PH, assessing available pharmacologic therapies and conducting the systematic review of clinical studies of PDE-5 inhibitors, a mainstay of PH therapy. They identified 1,270 studies. Twenty-one met the criteria to be included in the comprehensive review, including eight randomized controlled trials – the gold standard. The remaining 13 were observational studies in children ranging in age from extremely preterm to adolescence. “Although there is some risk associated with PDE-5 inhibitor use by pediatric patients with PH, overwhelmingly the data indicate the benefits of using this class of drugs far outweigh the risks. When we looked at specific clinical outcomes, we see definite improvement in a number of measures including oxygenation, hemodynamics and better clinical outcomes: The patients are doing better, feeling better and their exercise capacity rises,” Dr. Unegbu says. Ideally, researchers would like to have access to patient-specific measures that are a good fit for neonates and infants. Unlike adults, infants’ exercise capacity cannot be measured by their ability to climb stairs or use a treadmill. Another limitation, the study authors note, is the dearth of adequately powered clinical trials conducted in kids. Reflective of the myriad symptoms and complications that can accompany hydrocephalus, a multidisciplinary team at Children’s National works with patients and families for much of childhood. The Doppler image on the oversized computer screen shows the path taken by blood as it flows through the newborn’s brain, with bright blue distinguishing blood moving through the middle cerebral artery toward the frontal lobe and bright red depicting blood coursing away. Pitch black zones indicate ventricles, cavities through which cerebrospinal fluid usually flows and where hydrocephalus can get its start. The buildup of excess cerebrospinal fluid in the brain can begin in the womb and can be detected by fetal magnetic resonance imaging. Hydrocephalus also can crop up after birth due to trauma to the head, an infection, a brain tumor or bleeding in the brain, according to the National Institutes of Health. An estimated 1 to 2 per 1,000 newborns have hydrocephalus at birth. When parents learn of the hydrocephalus diagnosis, their first question tends to be “Is my child going to be OK?” says Suresh Magge, M.D., a pediatric neurosurgeon at Children’s National Health System. “We have a number of ways to treat hydrocephalus. It is one of the most common conditions that pediatric neurosurgeons treat,” Dr. Magge adds. Unlike fluid build-up elsewhere in the body where there are escape routes, with hydrocephalus spinal fluid becomes trapped in the brain. To remove it, surgeons typically implant a flexible tube called a shunt that drains excess fluid into the abdomen, an interim stop before it is flushed away. Another surgical technique, called an endoscopic third ventriculostomy has the ability to drain excess fluid without inserting a shunt, but it only works for select types of hydrocephalus, Dr. Magge adds. For the third year, Dr. Magge is helping to organize the Hydrocephalus Education Day on Feb. 25, a free event that offers parents an opportunity to learn more about the condition. Reflective of the myriad symptoms and complications that can accompany hydrocephalus, such as epilepsy, cerebral palsy, cortical vision impairment and global delays, a multidisciplinary team at Children’s National works with patients and families for much of childhood. Neuropsychologist Yael Granader, Ph.D., works with children ages 4 and older who have a variety of developmental and medical conditions. Granader is most likely to see children and adolescents with hydrocephalus once they become medically stable in order to assist in devising a plan for school support services and therapeutic interventions. Her assessments can last an entire day as she administers a variety of tasks that evaluate how the child thinks and learns, such as discerning patterns, assembling puzzles, defining words, and listening to and remembering information. Neuropsychologists work with schools in order to help create the most successful academic environment for the child. For example, some children may struggle to visually track across a page accurately while reading; providing a bookmark to follow beneath the line is a helpful and simple accommodation to put in place. Support for physical limitations also are discussed with schools in order to incorporate adaptive physical education or to allow use of an elevator in school. Another team member, Justin Burton, M.D., a pediatric rehabilitation specialist, says rehabilitation medicine’s “piece of the puzzle is doing whatever I can to help the kids function better.” That means dressing, going to the bathroom, eating and walking independently. With babies who have stiff, tight muscles, that can mean helping them through stretches, braces and medicine management to move muscles smoothly in just the way their growing bodies want. Personalized care plans for toddlers can include maintaining a regular sleep-wake cycle, increasing attention span and strengthening such developmental skills as walking, running and climbing stairs. For kids 5 and older, the focus shifts more to academic readiness, since those youths’ “full-time job” is to become great students, Dr. Burton says. The area of the hospital where children work on rehabilitation is an explosion of color and sounds, including oversized balance balls of varying dimensions in bright primary colors, portable basketball hoops with flexible rims at multiple heights, a set of foam stairs, parallel bars, a climbing device that looks like the entry to playground monkey bars and a chatterbox toy that lets a patient know when she has opened and closed the toy’s doors correctly. Definitively characterizing post-hemorrhagic ventricular dilation. Unlike spina bifida, which sometimes can be corrected in utero at some health institutions, hydrocephalus cannot be corrected in the womb. “While we have come a long way in treating hydrocephalus, there is still a lot of work to be done. We continue to learn more about hydrocephalus with the aim of continually improving treatments,” Dr. Magge says. A new research collaboration will streamline completion of retrospective and prospective research studies, shedding light on myriad conditions that complicate pregnancies. 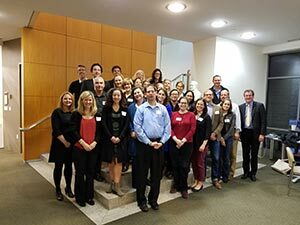 A new three-year, multi-million dollar research and education collaboration in maternal, fetal and neonatal medicine aims to improve the health of pregnant women and their children. The partnership between Children’s National Health System and Inova will yield a major, nationally competitive research and academic program in these areas that will leverage the strengths of both health care facilities and enhance the quality of care available for these vulnerable populations. The collaboration will streamline completion of retrospective and prospective research studies, shedding light on a number of conditions that complicate pregnancies. It is one of several alliances between the two institutions aimed at improving the health and well-being of children in Northern Virginia and throughout the region. “The Washington/Northern Virginia region has long had the capability to support a major, nationally competitive research and academic program in maternal and fetal medicine,” says Adre du Plessis, M.B.Ch.B., Director of the Fetal Medicine Institute at Children’s National and a co-Principal Investigator for this partnership. 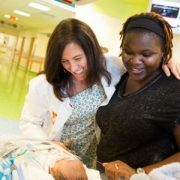 “The Children’s National/Inova maternal-fetal-neonatal research education program will fill this critical void. “This new partnership will help to establish a closer joint education program between the two centers, working with the OB/Gyn residents at Inova and ensuring their involvement in Children’s National educational programs and weekly fetal case review meetings,” Dr. du Plessis adds. Children’s National, ranked No. 3 nationally in neonatology, has expertise in pediatric neurology, fetal and neonatal neurology, fetal and pediatric cardiology, infectious diseases, genetics, neurodevelopment and dozens of additional pediatric medical subspecialties. Its clinicians are national leaders in next-generation imaging techniques, such as MRI. Eighteen specialties and 50 consultants evaluate more than 700 cases per year through its Fetal Medicine Institute. 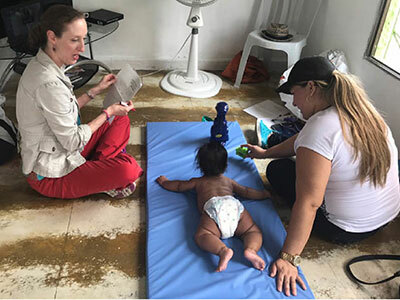 In mid-2016, Children’s National created a Congenital Zika Virus Program to serve as a dedicated resource for referring clinicians and pregnant women. The hospital performs deliveries in very high-risk, complex situations, but does not offer a routine labor and delivery program. Inova Fairfax Medical Campus is home to both Inova Women’s Hospital and Inova Children’s Hospital. Inova Women’s Hospital is the region’s most comprehensive and highest-volume women’s hospital — delivering more than 10,000 babies in 2016. 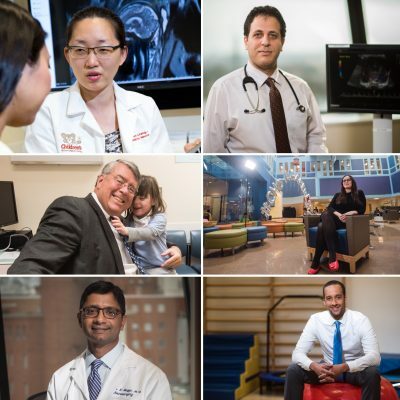 Inova Children’s Hospital serves as Northern Virginia’s children’s hospital —providing expert care in pediatric and fetal cardiology, cardiac surgery, genetics, complex general surgery, neurology, neurosurgery and other medical and surgical specialties. 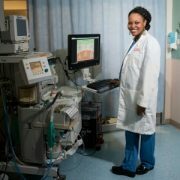 Its 108-bed Level IV neonatal intensive care unit is one of the largest and most comprehensive in the nation. Inova’s Translational Medicine Institute includes a genomics lab, as well as a research Institute focused on studies designed to build genetic models that help answer questions about individual disease. Each of these specialties is integrated into the Inova Fetal Care Center — which serves as a connection point between Inova Women’s and Children’s Hospitals. 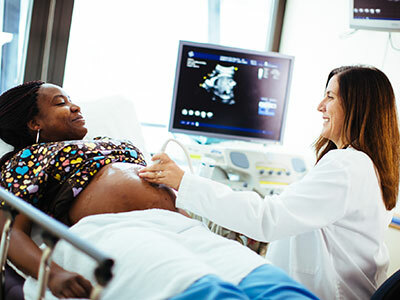 The Inova Fetal Care Center provides complex care coordination for women expecting infants with congenital anomalies or with other fetal concerns. Because Inova Women’s Hospital and Inova Children’s Hospital are co-located, women are able to deliver their babies in the same building where their children will receive care. Fetal growth restriction (FGR), which occurs when the failing placenta cannot support the developing fetus adequately. FGR is a major cause of stillbirth and death, and newborns who survive face numerous risks for multiple types of ailments throughout their lives. A planned study will use quantitative MRI to identify signs of abnormal brain development in pregnancies complicated by FGR. Placental abnormalities, including placenta accreta. A planned study will combine quantitative MRI studies on the placenta during the third trimester and other points in time with formal histopathology to identify MRI signals of placenta health and disease. Microcephaly, a condition that is characterized by babies having a much smaller head size than expected due to such factors as interrupted brain development or brain damage during pregnancy. 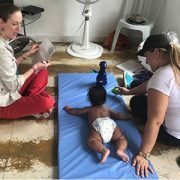 While the global Zika virus epidemic has heightened awareness of severe microcephaly cases, dozens of pregnancies in the region in recent years have been complicated by the birth defect for reasons other than Zika infection. A planned study will examine the interplay between MRI within the womb and head circumference and weight at birth to examine whether brain volume at birth correlates with the baby’s developmental outcomes. 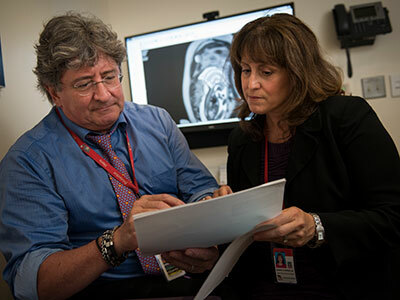 Catherine Limperopoulos, Ph.D., and colleagues performed the largest magnetic resonance imaging study of normal fetal brains in the second and third trimesters of pregnancy. Starting as a speck barely visible to the naked eye and ending the in utero phase of its journey at an average weight of 7.5 pounds, the growth of the human fetus is one of the most amazing events in biology. Of all the organs, the fetal brain undergoes one of the most rapid growth trajectories, expanding over 40 weeks from zero to 100 billion neurons — about as many brain cells as there are stars in the Milky Way Galaxy. This exponential growth is part of what gives humans our unique abilities to use language or have abstract thoughts, among many other cognitive skills. It also leaves the brain extremely vulnerable should disruptions occur during fetal development. Any veering off the developmental plan can lead to a cascade of results that have long-lasting repercussions. For example, studies have shown that placental insufficiency, or the inability of the placenta to supply the fetus with oxygen and nutrients in utero, is associated with attention deficit hyperactivity disorder, autism, and schizophrenia. Recent research has identified differences in the brains of people with these disorders compared with those without. Despite the almost certain start of these conditions within the womb, they have remained impossible to diagnose until children begin to show clinical symptoms. 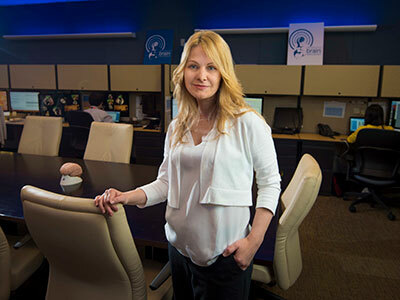 If only researchers could spot the beginnings of these problems early in development, says Children’s National Health System researcher Catherine Limperopoulos, Ph.D., they might someday be able to develop interventions that could turn the fetal brain back toward a healthy developmental trajectory. Before scientists can recognize abnormal, she adds, they first need to understand what normal looks like. In a new study published in Cerebral Cortex, Limperopoulos and colleagues begin to tackle this question through the largest MRI study of normal fetal brains in the second and third trimesters of pregnancy. While other studies have attempted to track normal fetal brain growth, that research has not involved nearly as many subjects and typically relied on data collected when fetuses were referred for MRIs for a suspected problem. When the suspected abnormality was ruled out by the scan, these “quasi-controls” were considered “normal” — even though they may be at risk for problems later in life, Limperopoulos explains. By contrast, the study she led recruited 166 healthy pregnant women from nearby low-risk obstetrics practices. Each woman had an unremarkable singleton pregnancy and ended up having a normal full-term delivery, with no evidence of problems affecting either the mother or fetus over the course of 40 weeks. 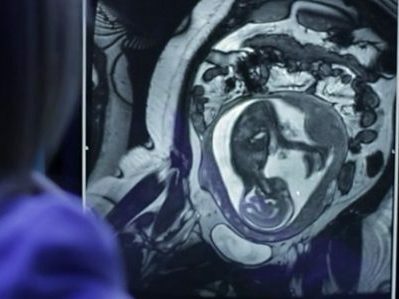 At least one time between 18 and 39 gestational weeks, the fetuses carried by these women underwent an MRI scan of their brains. The research team developed complex algorithms to account for movement (since neither the mothers nor their fetuses were sedated during scans) and to convert the two-dimensional images into three dimensions. They used the information from these scans to measure the increasing volumes of the cerebellum, an area of the brain connected to motor control and known to mediate cognitive skills; as well as regions of the cerebrum, the bulk of the brain, that is pivotal for movement, sensory processing, olfaction, language, and learning and memory. Their results in uncomplicated, full-term pregnancies show that over 21 weeks in the second half of pregnancy, the cerebellum undergoes an astounding 34-fold increase in size. In the cerebrum, the fetal white matter, which connects various brain regions, grows 22-fold. The cortical gray matter, key to many of cerebrum’s functions, grows 21-fold. And the deep subcortical structures (thalamus and basal ganglia), important for relaying sensory information and coordination of movement and behavior, grow 10-fold. Additional examination showed that the left hemisphere has a larger volume than the right hemisphere early in development, but sizes of the left and right brain halves were equal by birth. By developing similar datasets on high-risk pregnancies or births—for example, those in which fetuses are diagnosed with a problem in utero, mothers experience a significant health problem during pregnancy, babies are born prematurely, or fetuses have a sibling diagnosed with a health problem with genetic risk, such as autism—Limperopoulos says that researchers might be able to spot differences during gestation and post-natal development that lead to conditions such as schizophrenia, attention deficit hyperactivity disorder and autism spectrum disorder. Eventually, researchers may be able to develop fixes so that babies grow up without life-long developmental issues. 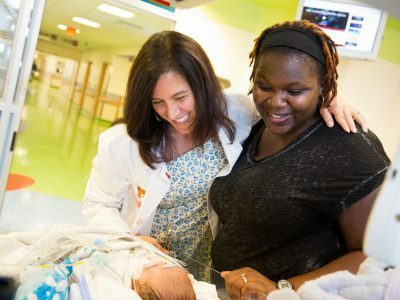 A Children’s National research team for the first time mapped abnormalities in blood flow that may contribute to brain injury suffered by preterm infants. Advanced noninvasive imaging permitted Children’s National Health System researchers to measure the lasting impact of abnormalities in blood flow on the immature brains of premature babies. Blood flow to the brain, or perfusion, has been studied previously to understand its role in other health conditions, but this is the first time a research team has mapped how these changes may contribute to brain injury suffered by babies born before 32 weeks’ gestation. Preterm birth is a major risk factor for brain injury. The prospective study examined infants weighing less than 1,500 grams who were born prior to 32 gestational weeks. Of 78 infants studied, 47 had structural brain injuries categorized as either mild or moderate to severe, and 31 had no brain injury. While global cerebral blood flow decreased with advancing postnatal age, the blood flow decreased more significantly among preterm infants with brain injury, says Eman S. Mahdi, M.D., M.B.Ch.B. 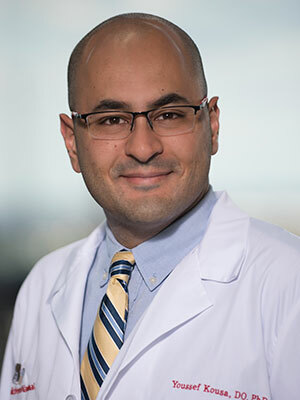 Dr. Mahdi is a pediatric radiology fellow at Children’s National and lead author of the abstract. “In addition to differences in global brain blood flow, we saw a marked decrease in regional blood flow to the thalamus and the pons, regions known to be metabolically active during this time,” Dr. Mahdi says. The thalamus helps to process information from the senses and relays it elsewhere within the brain. Located at the base of the brain, the pons is part of the central nervous system and also is a critical relay of information between the cerebrum and cerebellum. “These regional variations in blood flow reflect vulnerability of the cerebral-cerebellar circuitry,” she adds. 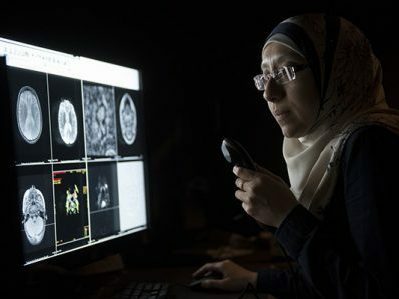 The Radiological Society of North America (RSNA) recognized Dr. Mahdi with its Trainee Research Prize. She presented the work, “Cerebral Perfusion Is Perturbed by Preterm Birth and Brain Injury,” during the RSNA Scientific Assembly and Annual Meeting, held from Nov. 27 to Dec. 2. 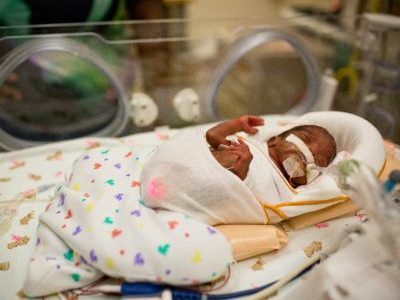 The findings point to the need for additional research to explore how cerebral blood flow trends evolve as preemies grow older and whether abnormal blood flow is linked to differences in health outcomes. In addition, the technique used by the research team, arterial spin labeling perfusion imaging – a type of magnetic resonance imaging – represents a useful and non-invasive technology for identifying early cerebral perfusion abnormalities in preterm infants, says Catherine Limperopoulos, Ph.D., director of the Developing Brain Research Laboratory at Children’s National and abstract senior author. Children’s National, in partnership with the Regeneron Genetics Center (RGC, a subsidiary of Regeneron Pharmaceuticals, Inc.), has announced the launch of a major three-year research study that will examine the links between undiagnosed disease and an individual’s genetic profile. The program, directed by Children’s National Geneticist Carlos Ferreira Lopez, M.D., and coordinated by Genetic Counselor Lindsay Kehoe, hopes to include as many as 3,000 patients in its initial year and even greater numbers in the following two years. During the course of the study, RGC will conduct whole exome sequencing (WES) to examine the entire protein-coding DNA in a patient’s genome. Children’s National geneticists will analyze and screen for certain findings that are known to be potentially causative or diagnostic of disease. Children’s National scientists and providers will confirm preliminary research findings in a lab certified for Clinical Laboratory Improvement Amendments (CLIA), per federal standards for clinical testing, and refer any confirmatory CLIA-certified cases to appropriate clinicians at Children’s National for further care. 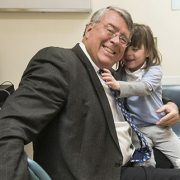 According to Marshall Summar, M.D., Chief of Genetics and Metabolism at Children’s National, the WES study could finally provide patients and their families with the medical answers they have been looking for, allowing for treatment appropriate to their specific genetic condition. Because pediatric diseases can often elude diagnosis, they can pose a number of detrimental effects to patients and their families, including treatment delays, multiple time- and cost-intensive tests, and stress from lingering uncertainty regarding the illness. With this genomic data, Regeneron will be able to utilize findings to continue its efforts to improve drug development. Since its inception in 2014, the RGC has strategically partnered with leading medical institutions to utilize human genetics data to speed the development and discovery of new and improved therapies for patients in need. Diffusion tensor imaging teases out subtle injury to cerebral and cerebellar white matter that is not evident with conventional MRI, allowing researchers to quantify brain tissue microstructure and classify white matter integrity. 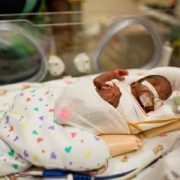 Premature birth can interrupt a key period of brain development that occurs in the third trimester, which has the potential to impact a child’s long-term learning, language, and social skills. 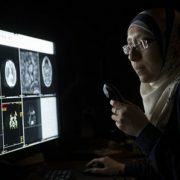 A recent case-control study published in The Journal of Pediatrics applied diffusion tensor magnetic resonance imaging (DTI) to zoom in on the microstructures comprising the critical cerebellar neural networks related to learning and language, and found significant differences between preterm and full-term newborns. “The third trimester, during which many premature births occur, is typically when the developing cerebellum undergoes its most dramatic period of growth. Normally, the cerebellar white matter tracts that connect to the deep nuclei are rich in pathways where nerve fibers cross. Those connections permit information to flow from one part of the brain to another. It is possible that premature birth leads to aberrant development of these critical neural networks,” says Catherine Limperopoulos, Ph.D., director of the Developing Brain Research Laboratory at Children’s National Health System and senior study author. 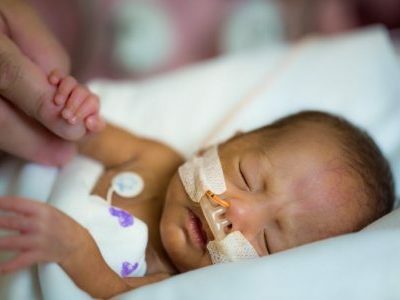 One in 10 American babies is born prematurely. The brain injury that infants born prematurely experience is associated with a range of neurodevelopmental disabilities, including some whose influence isn’t apparent until years later, when the children begin school. Nearly half of extremely preterm infants go on to experience long-term learning, social, and behavioral impairments. While conventional magnetic resonance imaging (MRI) can detect many brain abnormalities in newborns, a newer technique called DTI can tease out even subtle injury to cerebral and cerebellar white matter that is not evident with conventional MRI. White matter contains axons, which are nerve fibers that transmit messages. With DTI, researchers can quantify brain tissue microstructure and describe the integrity of white matter. The research team compared imaging from 73 premature infants born before 32 weeks gestation who weighed less than 1,500 grams with 73 healthy newborns born to mothers who delivered at full term after 37 weeks. After the newborns had been fed, swaddled, and fitted with double ear protection, the imaging was performed as they slept. Nurses monitored their heart rates and oxygen saturation. Their brain abnormalities were scored as normal, mild, moderate, or severe. All of the full-term newborns had normal brain MRIs as did 44 (60.3 percent) of the preemies. The preemies had significantly higher fractional anisotropy in the cerebellum, the part of the brain that processes incoming information from elsewhere in the brain, permitting coordinated movement as well as modulating learning, language, and social skills. Alterations in cerebellar microarchitecture was associated with markers for illness severe enough to require surgery – such as correcting abnormal blood flow caused by the failure of the ductus arteriosus to close after birth and to remedy a bowel disease known as necrotizing enterocolitis. The risk factors also are associated with compromised cardiorespiratory function and low Apgar score at five minutes, Limperopoulos and co-authors write. The Apgar score is a quick way to gauge, one minute after birth, how well the newborn withstood the rigors of childbirth. It is repeated at five minutes to describe how the newborn is faring outside of the womb. Additional research is warranted in larger groups of patients as well as long-term follow up of this cohort of newborns to determine whether this microstructural disorganization predicts long-term social, behavioral, and learning impairments. “A large number of these prematurely born newborns had MRI readings in the normal range. Yet, we know that these children are uniquely at risk for developing neurodevelopmental disabilities later in life. With additional study, we hope to identify interventions that could lower those risks,” Limperopoulos says.